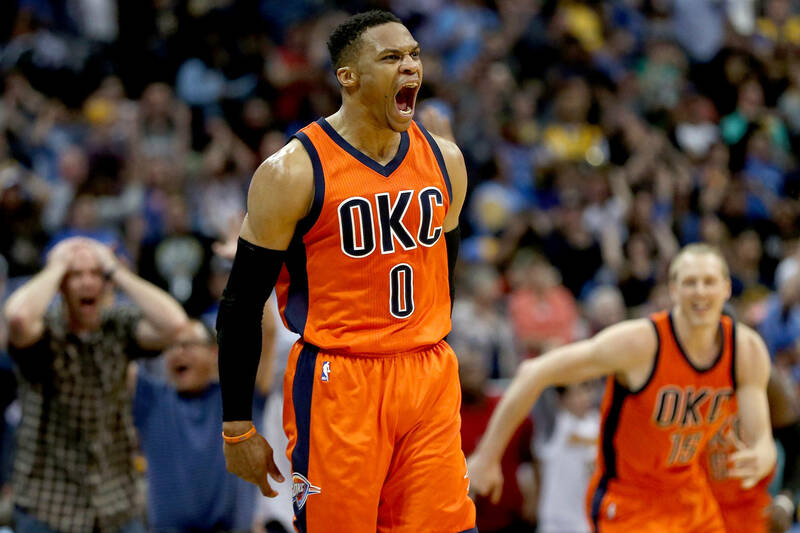 As reported by ESPN, Russell Westbrook logged his 16th technical foul of the season late in the first half against the Golden State Warriors on Saturday (March 16). If the infraction isn't rescinded, it will lead to an automatic one-game suspension. The technical came after Westbrook drove to score and felt like he was fouled, but there was a no-call. He argued with referee Tyler Ford, and then committed a purposeful retaliation foul out of frustration on Klay Thompson. After fouling Klay he continued to argue the no-call with Ford, and was given a technical. When asked if he is hopeful that the technical would be rescinded, Westbrook responded, "next question." Then he was asked if he was aware he was at 15 technicals, to which Westbrook replied, "next question." Eventually, he was asked if he's disappointed that he would be facing a one-game suspension, to which he said, "next question." Westbrook has had two technicals rescinded this season. "I understand sometimes when those guys are going in there and they're getting hit and they're getting fouled, it's hard," Oklahoma City Thunder coach Billy Donovan stated. "And these guys invest a lot into the game. Obviously, I want Russell playing and I want him out there, but we'll see what happens and how this all shakes out."